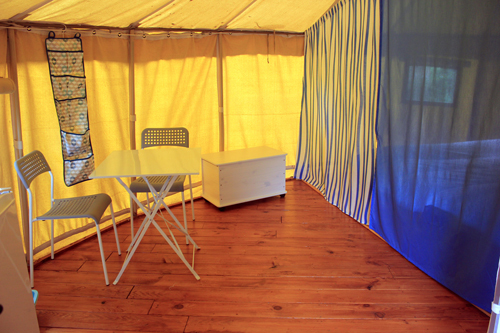 Hire a safari tent in the Auvergne ! 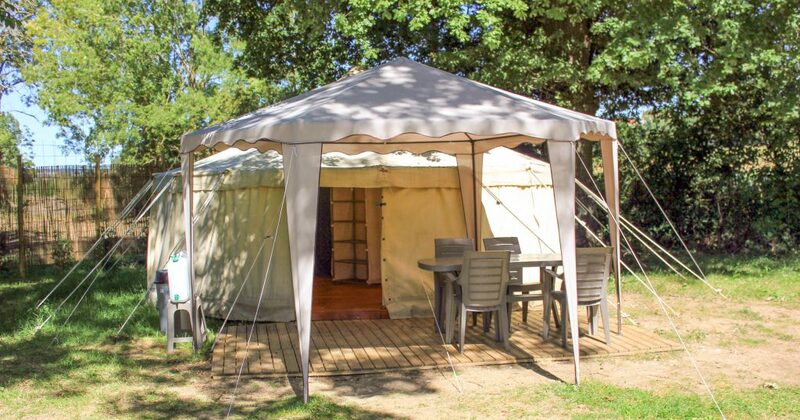 Domaine des Lilas has 2 round safari tents to hire in the Auvergne. We offer you a comfortable campsite holiday ! Our tents are suitable for 4 persons (eventually 5 persons with a baby / todler). 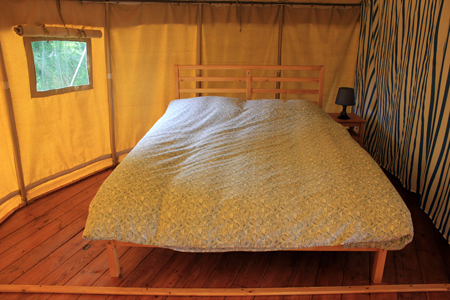 The safaritent is made of cotton : this gives a warm athosphere and is airy. The base’s diameter is 6 meters and the side walls run slanting from 1,5 m to 3 m high. You will feel well in the tent and it’s very spacious. 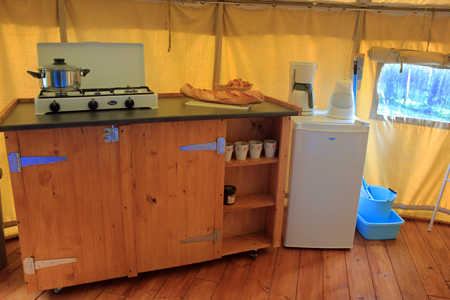 The tent is equipped with all the comforts : two sleeping areas, enough storage space, a fully equipped kitchenette, etc. The rental tents are set up at our child-friendly mini campsite, so you are comfortable with all the other campers. 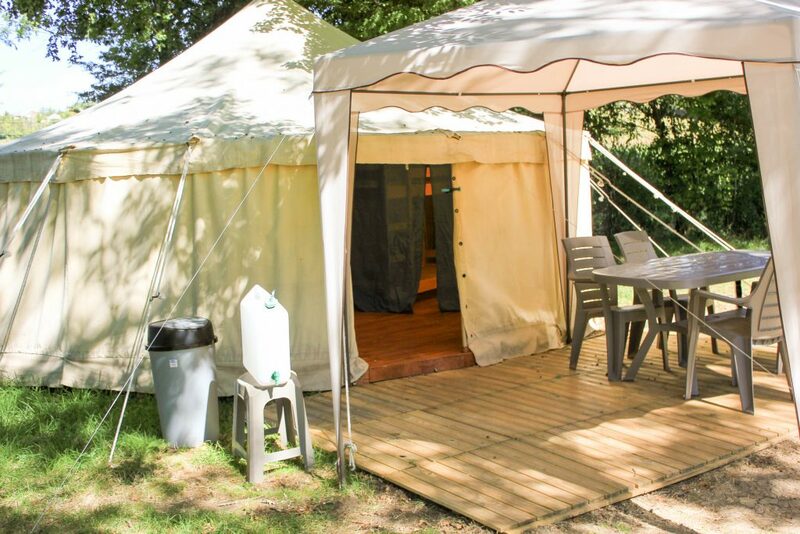 Camping in our rental tents is also suitable for families with smaller children! Every morning there is animation for the kinds (animal feeding, crafting or horse riding for exemple), so you can relax while the kids will have fun ! It is a short walk to our toilet building for all amenties. Our campsite is car-free so you park your car at the parking. 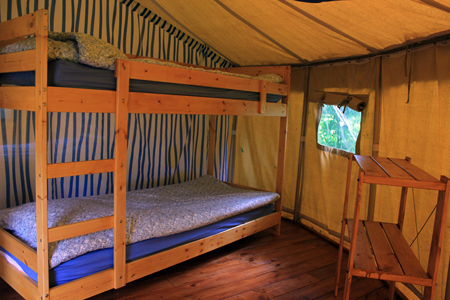 In the safari tent you will find two sleeping areas : there’s one double bed and a bunkbed. The beds are made up on your arrival so you do not have to bring linens. It’s possible to add a cot for children up to 2 years. 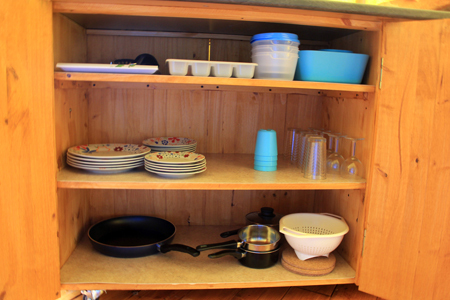 There’s also a equipped kitchen (pots, pans, plates, etc.) with fridge and gas cooker. Of course, we hope for nice weather, but if necessary, you can also sit inside. Outside is a comfortable garden set. Book your safari tent now!